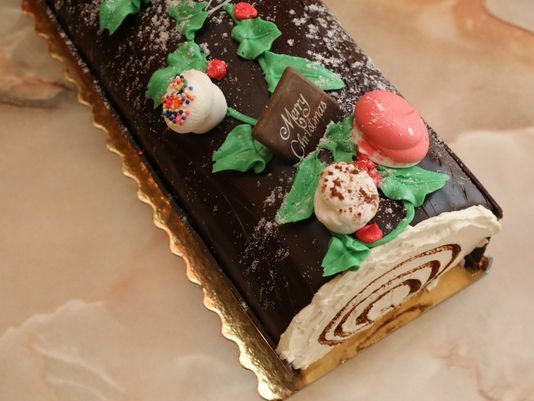 A Bûche de Noël (also known as a Yule log) had its origin almost 1000 years ago in Europe. It started as a pagan tradition celebrating the winter solstice, but Christians have continued it as a Christmas eve tradition that was thought to bring good luck in the coming year. A family would burn the largest log they could find in their fireplace, using embers from the prior year’s log to help light it. 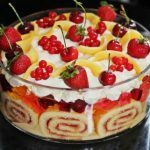 A Bûche de Noël is sponge cake baked on a jelly roll pan, filled with flavored whipped cream, then rolled up and further assembled to look like a log. 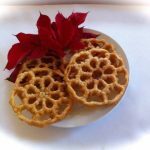 It’s served during the Christmas holidays in France, Belgium, Quebec, Lebanon and several other Christian-populated francophone countries as well as in the UK. While the most beloved Mexican Christmas traditions are firmly based on the birth of Christ, the timing of the celebration coincides with Mexico’s ancient worship of the sun. During the nine darkest days of winter, the Aztecs celebrated the God of the Sun, pleading for his return and praising both the Sun and his virgin mother goddess. Early Catholic priests obtained permission from Rome to hold special processions and masses for nine days before Christmas. Beginning December 16, village children dressed as Mary and Joseph still lead a group of “angels and shepherds” from house to house to commemorate the search for an inn (posada) in Bethlehem. They are curtly refused at every door until the entourage is welcomed at a prearranged home with a fiesta including music, food and piñatas. 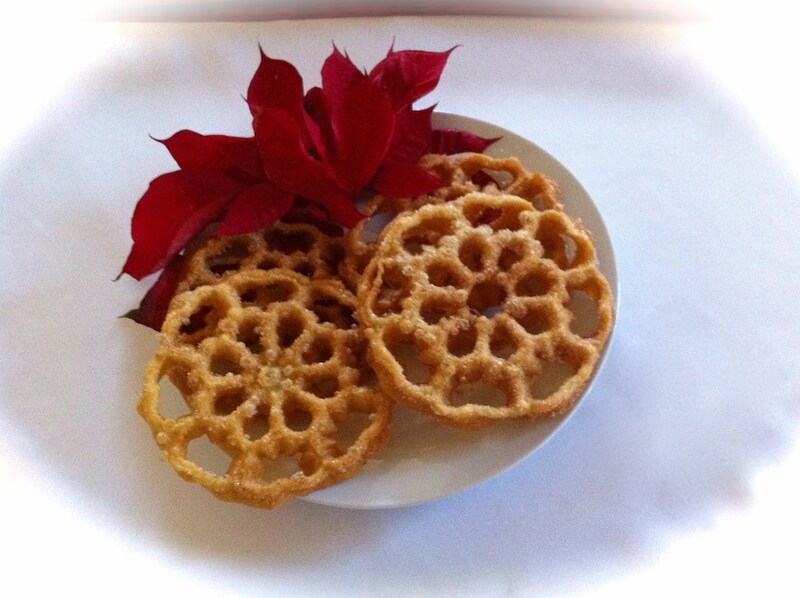 Buñuelos de viento are a favorite at posadas and pastorelas. Plum pudding has never contained plums. When it was created in the 17th century, plums referred to raisins or other fruits. The name Christmas pudding is first recorded in 1858 in a novel by Anthony Trollope. 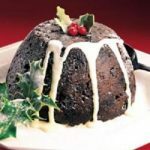 During the Puritan reign in England, plum pudding was outlawed as “sinfully rich.” Traditionally in England, small silver charms were baked in the plum pudding. A silver coin would bring wealth in the coming year; a tiny wishbone, good luck; a silver thimble, thrift; an anchor, safe harbor. By Victorian times, only the silver coin remained. In England these tiny charms can still be bought by families who make their own puddings. It is also traditional for every one who lives in the household to simultaneously hold onto the wooden spoon, help stir the batter for the pudding, and make a wish. 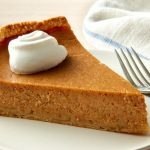 Sweet potatoes are “New World” foods, pie is an “Old World” recipe. Creamy recipes combining orange vegetables with sweeteners, spice and cream were known in Medieval Europe. Sweet potatoes were introduced to Europe in the 16th century. These new vegetables were greatly prized by some European kings and queens. Sweet potatoes were introduced to West Africa soon thereafter. They were similar to yams and quickly incorporated into the local cuisine. Africans in the American South knew the yam from their homeland and the two tubers have become virtually interchangeable in Southern cooking. Most Southern sweet potato recipes have been developed by African-American people from their traditional cuisine. 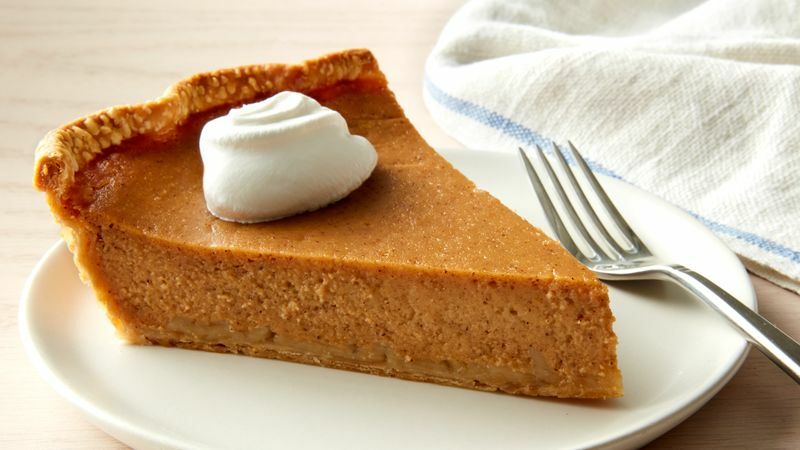 Sweet potato pie emerged in the American South during very early colonial days. It quickly became a staple of the region. Today this fine pie is considered by some to be a cornerstone of soul food and is widely prepared for Christmas dinners. Christmas in Japan is different from western countries. The major religions in Japan are Buddhism and Shinto, so Christmas is more a commercial event. The main celebration revolves around Christmas eve and not Christmas day. Some Japanese celebrate Christmas (known in Japan as Kurisumasu) with trees and wreathes, sweet cakes and the exchanging of gifts. Stores are decorated in Christmas themes, restaurants and pachinko parlors are hung with tinsel and lights and television adds feature Santa and reindeer. Otherwise Christmas is normal work day and most Japanese go about the daily life as they would on any other day. 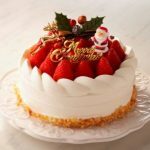 It’s become a tradition for Japanese people to eat Christmas cakes and roast or fried chicken on Christmas Eve. 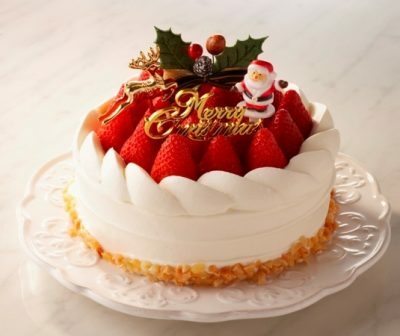 Typical Christmas cakes found in Japan are not traditional Japanese cakes, but they are round sponge cakes with fresh fruits and whipped cream toppings. Pitta ‘mpigliata comes from San Giovanni in Fiore, a small medieval town in the Sila mountain range in Calabria. Calabria, in Southern Italy, is considered the “toe” of Italy. As in many regions of Italy, the people celebrate their Italian culture and Christmas Eve with local traditions and foods. 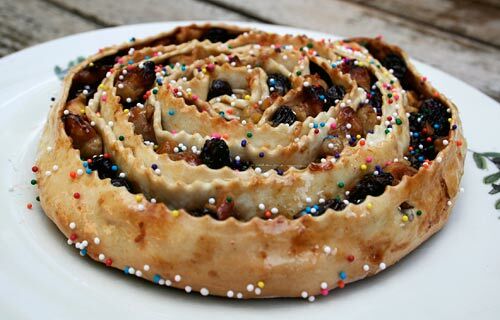 Throughout Italy, most Christmas sweets contain nuts and almonds as, according to peasant folklore, eating nuts aids the fertility of the earth and people, increasing flocks and family. Calabria is famous for both it’s citrus fruits, and figs, both fresh and dried. Pitta ‘mpigliata originally was a traditional wedding cake served to celebrate the joining of two families. There are many ways to shape this bread. 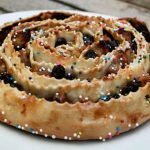 It can be rolled out in long logs and sliced into individual slices and baked like cookies, or the slices can be put in a pie dish and baked like cinnamon rolls. The bread can be shaped into wreath, candy canes or a horseshoe shape with the ends pinched together to represent the arms of Christ. You can also drizzle honey over the pitta piattas after baking. Christmas is celebrated throughout the African continent by Christian communities large and small. There are approximately 350 million Christians in Africa. Christmas in South Africa is a summer holiday. In December, the southern summer brings glorious days of sunshine that carry an irresistible invitation to the beaches, the rivers, and the shaded mountain slopes. Then the South African holiday season reaches its height. Schools are closed, and camping is the order of the day. In South Africa there is no snow, but it has many flowers, many beautiful varieties of cultivated and wild flowers in full bloom. Many South Africans have a Christmas dinner in the open-air. It is the traditional dinner of either turkey, roast beef, mince pies, or suckling pig, yellow rice with raisins, vegetables, and plum pudding and trifle, paper hats, and all. In the afternoon, families go out into the country and usually there are games or bathing in the warm sunshine, and then home in the cool of the evening. 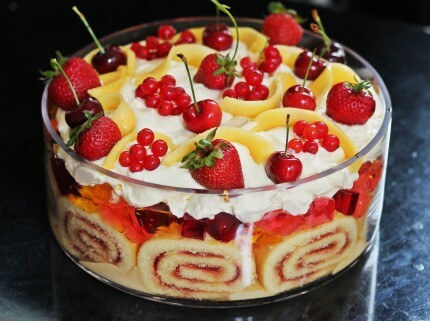 Trifle, a vestige of the colonial legacy, is a dessert typically consisting of plain or sponge cake soaked in sherry, rum, or brandy and topped with layers of jam or jelly, custard and whipped cream. In South Africa it is typically enjoyed over the Christmas season.